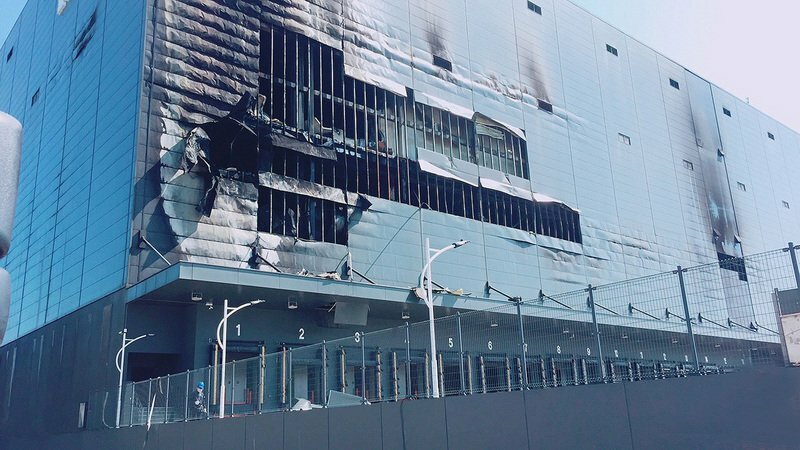 A fire that broke out in a Taoyuan warehouse on Wednesday killed three Vietnamese migrant workers. The fire department said they rescued two migrant workers out of the 5-story building on Wednesday. One later died and another is seriously injured. They also found two bodies close to an elevator on the second floor of the Kerry TJ Logistics warehouse. The fire department sent 39 fire engines and ambulances and over 100 firefighters to the scene after it received a call on Wednesday morning. The fire burned for 12 hours before it was completely put out. The four Vietnamese were temporary migrant workers working on the facility’s air conditioning system.